Every year, there are endless amounts of statistics released from all of the major social media sites — from Facebook, Twitter and LinkedIn to Instagram, Pinterest and Snapchat — it can be overwhelming to keep up with the changes in users, demographics and how marketers are supposed to utilize each platform. If your brand is not utilizing social media as a customer service platform, you’re late to the game. Social media has become the go-to platform for customer service because a number of users know they’re going to get a guaranteed quick response. And with mobile and technology being the norm, it’s often easier for a customer to shoot off a quick Tweet rather than attempt to make it through a confusing phone tree to get to the right department and wait on the line for a customer service agent. To ensure your brand is utilizing social media as a customer service platform, you should use call agent software that integrates social media conversations, and ensure that your social media manager is meeting with and collaborating closely with your customer service team. Make sure that every month there is a review of customers’ complaints on social media, so everyone in your company is informed about how your customers are utilizing the platform and common feedback that is shared. It’s also important that you have processes in place to adhere to a “within 24 hours” response time. A couple hours is even better. Facebook remains the most-used social media site among all ages, used by 64 percent of Americans 12 and up, with 40% of users aged 40-63. I’ve often heard brands and business owners claim that they don’t use Facebook because they don’t believe their customers use the platform. The idea that the “older generation” doesn’t use Facebook is dead. All people of all ages are using Facebook, so your brands needs to have a Facebook presence. The best way to reach your perfect target audience member on Facebook is to utilize Facebook advertising within your digital marketing playbook. Facebook advertising has a complex, detailed way of targeting their users on everything from age, birthday, relationship status, location and likes. This makes finding your perfect customer on Facebook really easy. Twitter has more than 310 active monthly users, and 79 percent of accounts are outside the U.S. Instagram has 400 million active monthly users, and 75 percent are outside the U.S.
It’s important to note that while major social media sites are boasting large user bases, a huge percentage of these users are outside the U.S. If your brand is not interested in international users, then this is certainly a statistic that matters. Perhaps it means you shouldn’t be focusing on the platforms that have a large international user base. If only 20-25 percent of their users are located in the U.S., does it make sense for you to target Instagram and Twitter as platforms for your business? Also, when estimating the total amount of Americans your business could reach on platforms such as Twitter and Instagram, you need to subtract the amount of users who are from other countries. This number is the true capable reach for your brand on these platforms. Instagram has the highest per follower engagement rate of any of the major social networks at 2.3 percent, and a whopping 68 percent of Instagram users engage with brands regularly. Instagram has 58 times more engagement per follower than Facebook, and engaged Instagram followers are worth more than those on Facebook, with an average order value of $65 versus $55. We grouped together several Instagram statistics to show how important this platform is to your brand. Facebook is not the number one kahuna anymore. Brands who have centered their digital strategy on Instagram are seeing much more return for their dollar and time. If you haven’t started thinking about Instagram as part of your digital marketing toolbox, this year is the year to start. 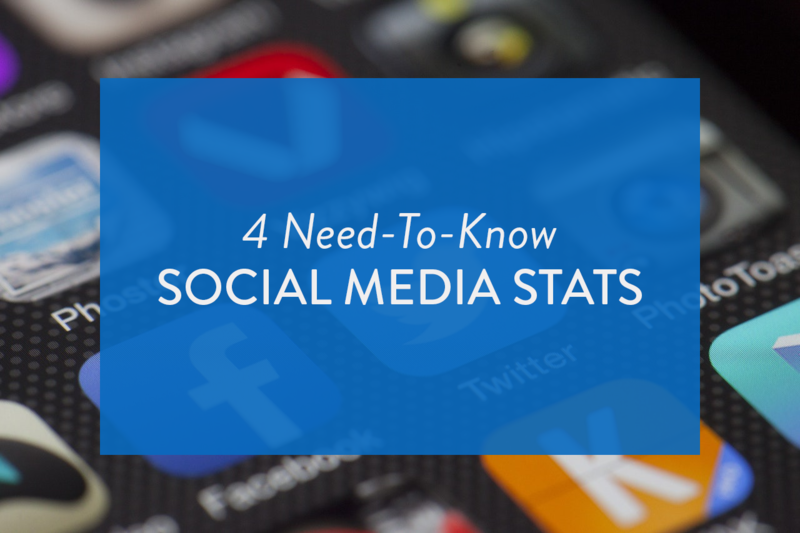 These four social media statistics should help steer your social media strategy this year, so your brand is more targeted and focusing on the right social media platforms to reach your customer. No longer is it about signing up for everything and trying to manage it all: it’s about finding the few social platforms that will be the best return on your investment.